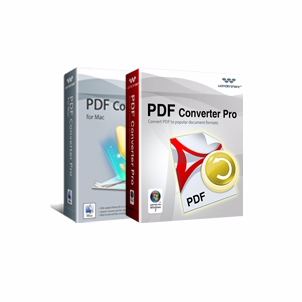 A set of all right PDF converters. The best value choice! 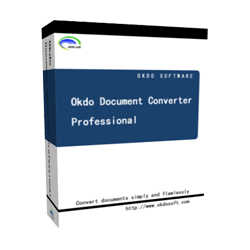 Converts PDF to DOC/RTF/HTML/TXT/JPG/GIF/PNG/BMP/TIF with Fast, accurate, small and friendly UI. 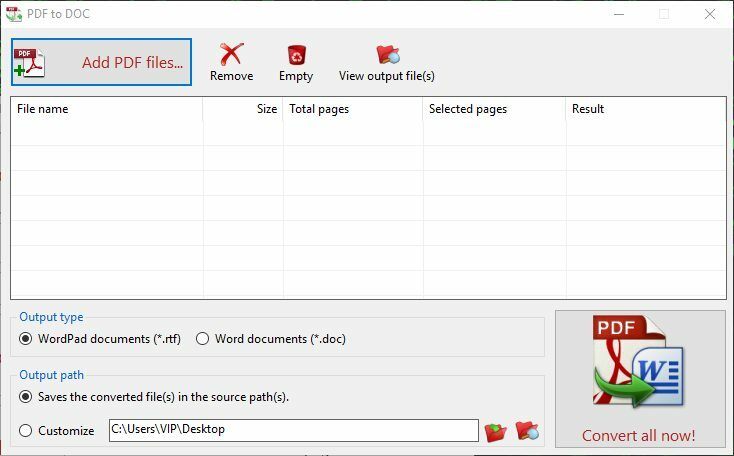 Get PDF to X v9.0 with a license key now for free – full version! 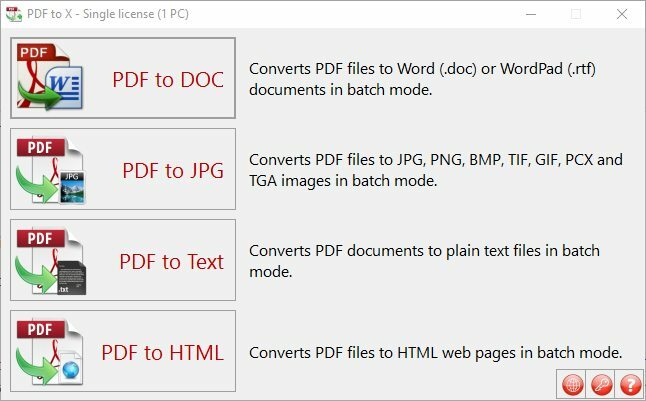 PDF to X v9.0 is used to convert PDF documents to Word (.doc)/WordPad (.rtf) documents, HTML web pages, JPG/PNG/BMP/TIF/GIF/PCX/TGA images and plain text files in batch mode. 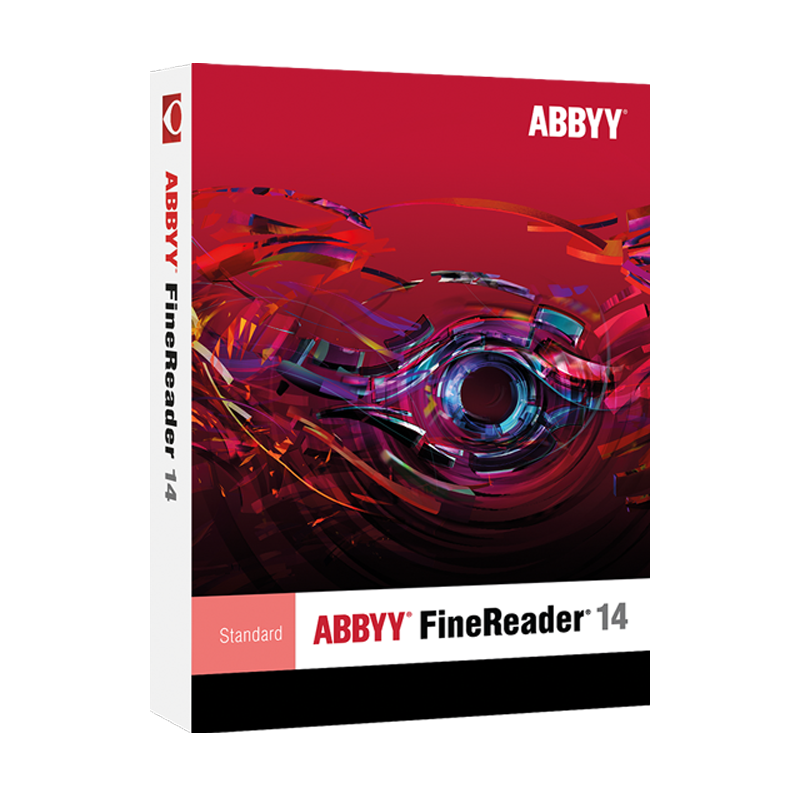 It works without Adobe Acrobat or Adobe Reader, and has Command Line Interface (CLI), friendly interface, small size, accurate and fast conversion ability. 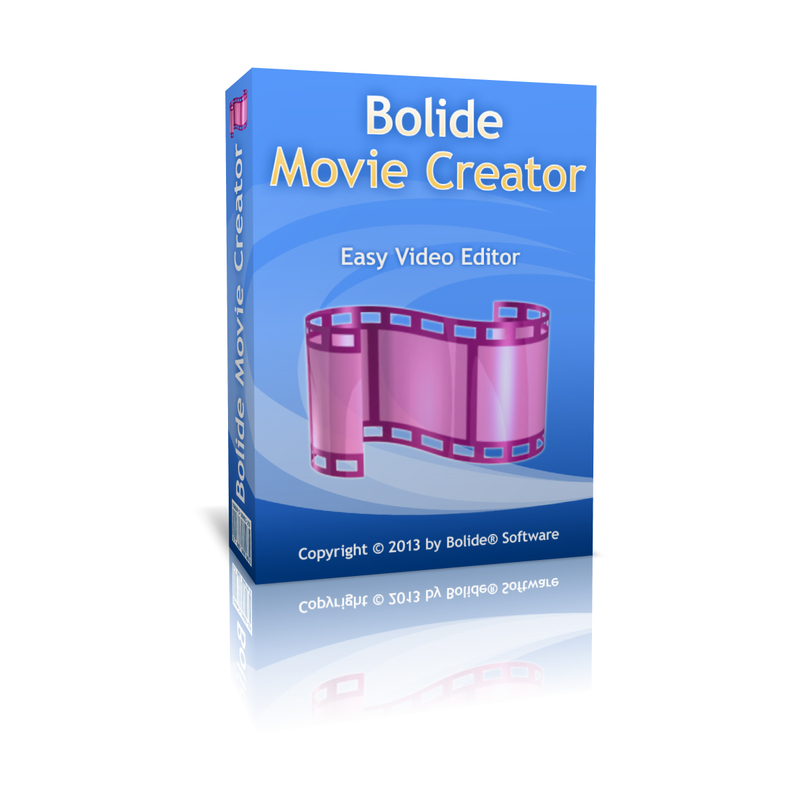 It retains the original text, images, format and layout of PDF documents in various output files as much as possible. If you want to edit/re-edit the PDF files in MS Word or WordPad, publish the PDF content as HTML web pages on the web, capture PDF documents, let your documents management system supports PDF search or want to extract the text from PDF files, PDF to X v9.0 might be useful. Supports converting the PDFs that have some restrictions. Support Command Line Interface: improve the productivity if you’re good at programming. Supported OS: Windows XP/2003/Vista/7/8/8.1/10, 32 & 64-bit both. Please feel free to download PDF to X for Windows PC here. 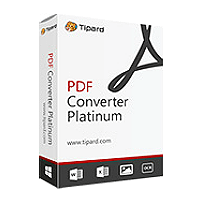 This PDF Converter Software by Trisun Software has been tested professionally and we are assured that no viruses, Trojans, adware or malware contained. 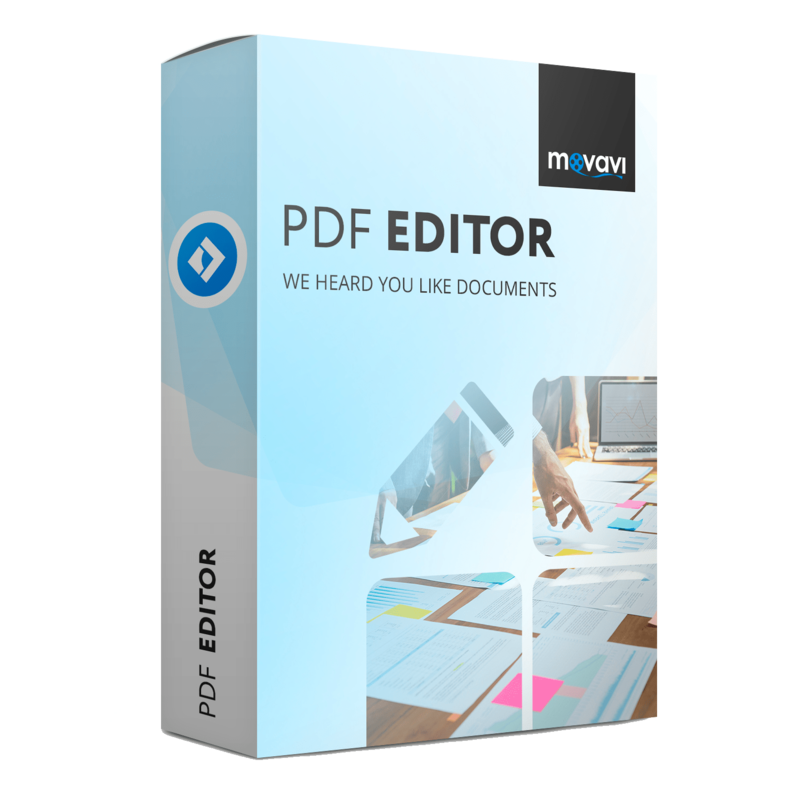 PDF To X v9.0 retails for $49.95, But, on our website, The Software Shop, you can get PDF To X with license key for free full version. This offer is available for a limited time! PDF To X v9.0 License Key Giveaway is available now for a limited time! 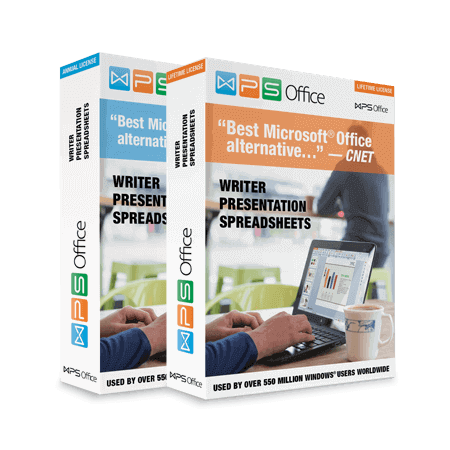 Click on - Download - button to download PDF to X.
PDF to X lets you convert PDF files to Word, WordPad, HTML, image formats, and plain text in batch, saving valuable time and increasing your productivity. With PDF to X, you’ll enjoy an intuitive interface that’s the gateway to fast and accurate conversion. Along the way, PDF to X works to preserve the original text, images, format, and layout of your original PDF files, to minimize any reworking. It even works with files that have restrictions, such as password-protected PDF files and limitations on copying, saving, page extraction, and printing! Thanks for reading PDF to X v9.0 review & enjoy the free license key giveaway. Please report if PDF to X v9.0 license key giveaway has a problem such as sold out, expired, etc while the giveaway still exists. The program will not accept the license key. I reinstalled the program but it still will not accept it. The message states the I cannot use this code for an update and asks if I wanted to purchase another one.